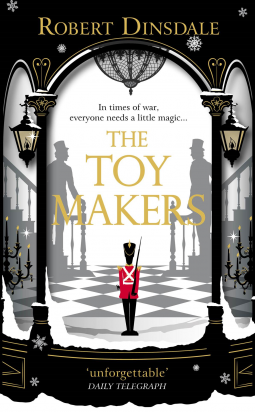 I’m also reading The Toymakers by Robert Dinsdale, to be published on 8th February 2018. So far I’m completely taken with this fascinating and imaginative novel. 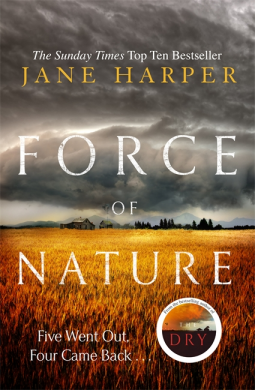 The last book I finished is Force of Nature by Jane Harper, which will be published on 8 February 2018. I loved it and will post my review on 12 February 2018 as part of the blog tour . 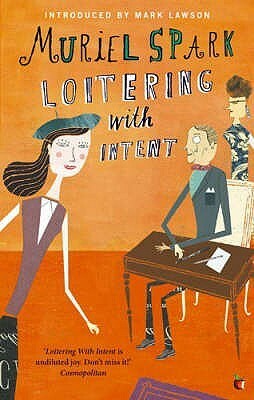 I’d like a change from non-fiction and crime fiction, so I’m thinking of reading Loitering with Intent by Muriel Spark. Tomorrow marks the 100th anniversary of her birth – so it seems appropriate to read one of her books. Would-be novelist Fleur Talbot works for the snooty Sir Quentin Oliver at the Autobiographical Association, whose members are at work on their memoirs. When her employer gets his hands on Fleur’s novel-in-progress, mayhem ensues when its scenes begin coming true. I’ve got a bit behind with writing reviews, so here are some notes on two books I’ve recently read, both of which fit into the Read Scotland 2014 Challenge. It’s common knowledge now that Robert Galbraith is J K Rowling’s pseudonym. 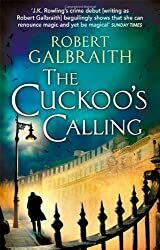 I wish I’d read The Cuckoo’s Calling without knowing that, as although I have no problem with authors writing under pseudonyms, I found myself thinking how like the Harry Potter books it is in some ways and I doubt I’d have thought that if I’d read it ‘blind’. Anyway, I liked The Cuckoo’s Calling. It is crime fiction, set in the world of Cormoran Strike (a Harry Potterish name, I thought), an ex-army private detective, who is struggling to get clients and pay his bills, sleeping on a camp bed in his office. Along comes Robin Ellacott, from the Temporary Solutions Agency to help out (think, Hermione Granger). She’s intelligent, efficient, remarkably resourceful, and she soon has Strike organised, which is essential as he is asked by John Bristow, a lawyer and the brother of a childhood friend to investigate the death of his sister, Lula Landry. The police are satisfied that Lula, a model, had committed suicide, but Bristow is certain that she didn’t. What follows is at times a leisurely narrative and the plot is quite complex, but not too difficult to work out. The characters are convincing, Robin in particular soon became my favourite. She has an enquiring mind, ‘fascinated by the interior workings of other people’s minds‘ and despite her fiancÃ©’s opposition to her job, she carries on, motivated by her fascination with investigating, and her secret ambition to be a private detective. In fact without Robin, Strike would have really struggled to get to the truth. I’ve counted this book towards the Read Scotland 2014 Challenge because J K Rowling, although she was born in England has lived in Scotland for twenty-one years and plans to spend the rest of her life in Scotland. Whereas the author of the next book, Muriel Spark is an author who was born and grew up in Edinburgh, but who later lived in London. To qualify for this challenge books have to be by Scottish authors, either by birth or immigration, or about or set in Scotland – quite a wide brief! The Prime of Miss Jean Brodie is perhaps Muriel Spark’s most famous novel. I’ve read it before and seen the film, with Maggie Smith in the title role. 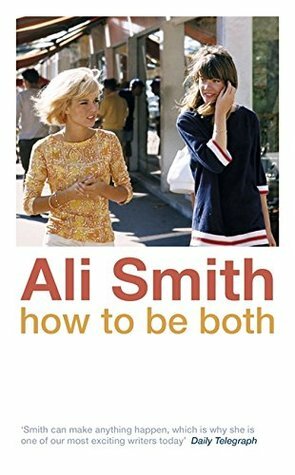 Each time I’ve read it I’ve really enjoyed it – it’s one of those books that isn’t spoilt by knowing what happens, because part of the pleasure of reading it is the fact that I do know who betrayed Miss Brodie. 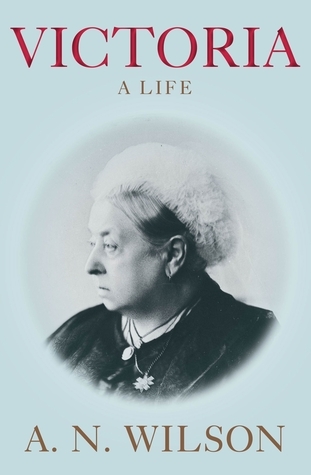 Despite her declaration: ‘Give me a girl at an impressionable age and she will be mine for life‘, it is one of the ‘Brodie set’ who causes her downfall, that and her pride and self-absorption. But what really impresses me about this book is the writing, so compact, so perceptive and so in control of the shifts in time backwards and forwards. It’s a joy to read. I’ve written more about it in this post.